Nelscott Reef is about a half mile offshore from Canyon Park at a depth of about 18’ which causes the open ocean swells to jack up to 25 to 50’ and more on the face during optimum swell events. Nelscott Reef was first explored by John Forse soon after recovering from a shark attack at Gleneden Beach in 1998. 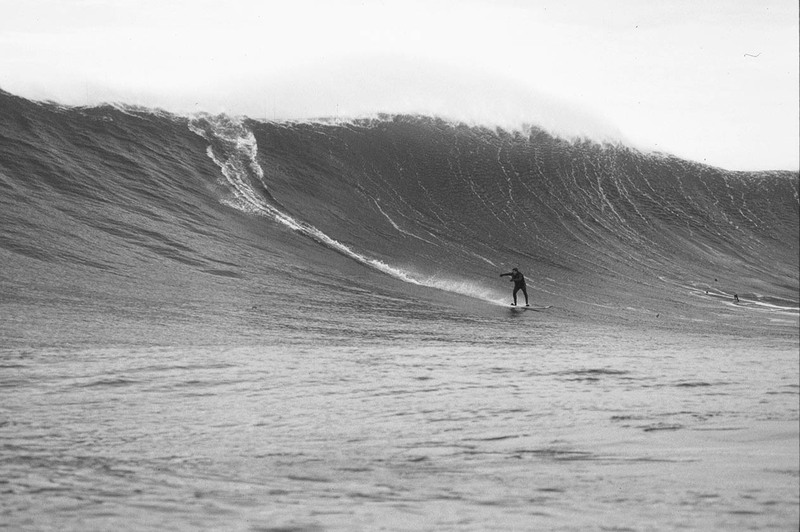 He and a friend motored his underpowered zodiac through the 20’ Siletz rivermouth and beachbreak to the Reef and tried to position themselves to paddle into the wide swinging peak during this 17’ at 20 second interval swell that translates to 35’+ on the face. The offshore winds were too strong to get down the face and he was blown out the back only to be staring down that wave’s bigger brother. Luckily, he was able to get around the shoulder and both surfers retreated to the zodiac to live another day! 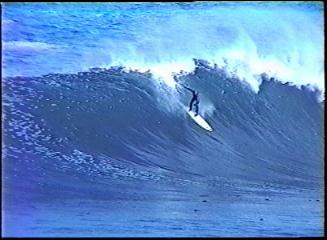 In 2002 he invited Santa Cruz Pro Towsurfers Peter Mel and Adam Replogle to come up and sample Nelscott based on video of his encounter. They skeptically ventured north based on John’s forecast of 30’+ waves on the reef with optimum conditions. They were blown away with the size and conditions and towsurfed huge waves like it was 4’ Malibu. John finally got his first wave after stalking the wave for so many years. He got crushed by his wave but came up laughing and was walking on clouds for a week. True to his calling as big wave surfings biggest fan he soon formulated his plan of holding the first Nelscott Reef Tow In Classic which was first held in 2005. It was an effort not only by John but by Professional big wave surfers, Jeff Clark, Peter and Adam, with input from Garrett McNamara, Chris Bertish, Mike Parsons and many more to make it a great inaugural event with many more to follow. 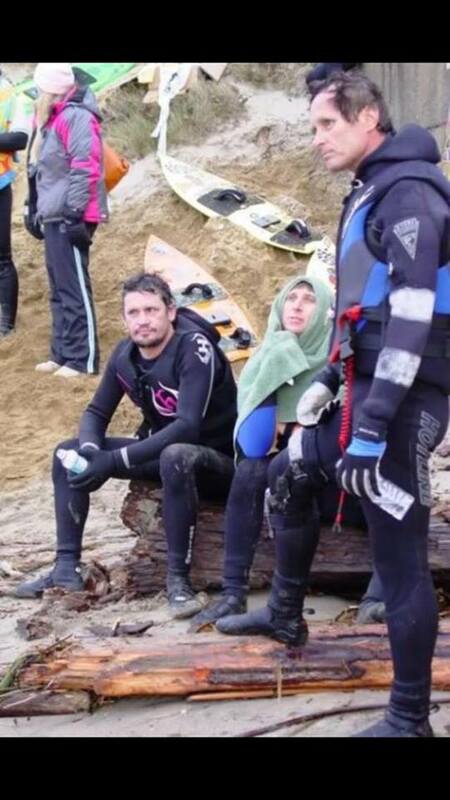 After 3 years as a Towsurfing only event, in 2008 some Paddle In heats were added in reaction to the surfers deciding that they could paddle into the waves and didn’t need the waverunners except for safety and support. The next year a ‘Kingfish’ Award was added as the top combined scoring surfer of both disciplines and Ross Clarke Jones was declared the Kingfish. 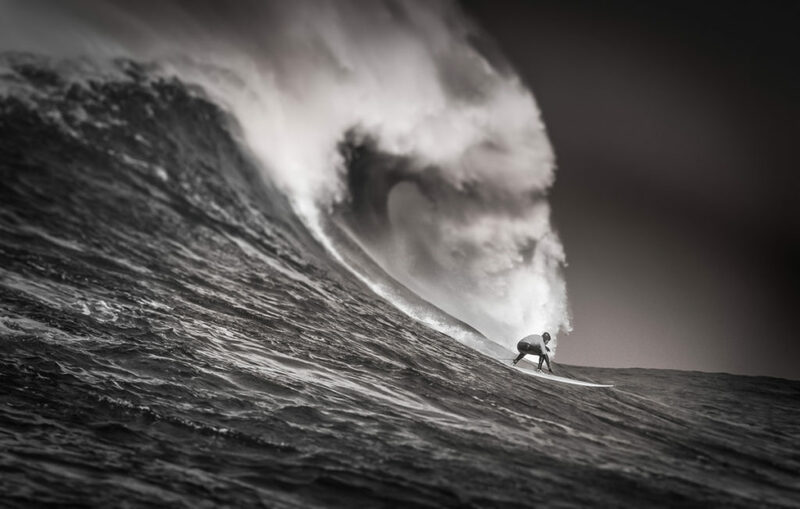 Since paddling in is the purest form of big wave surfing and towsurfing was only a bridge to that end in 2010 the event ran as a paddle in event in the biggest waves ever surfed in competition up to that time with Kohl Christenson of Hawaii taking top honors in 45+? waves. The next day, Keala Kenelly won first women’s exhibition. In 2011-12 the event didn’t run because of lack of a contestable swell. 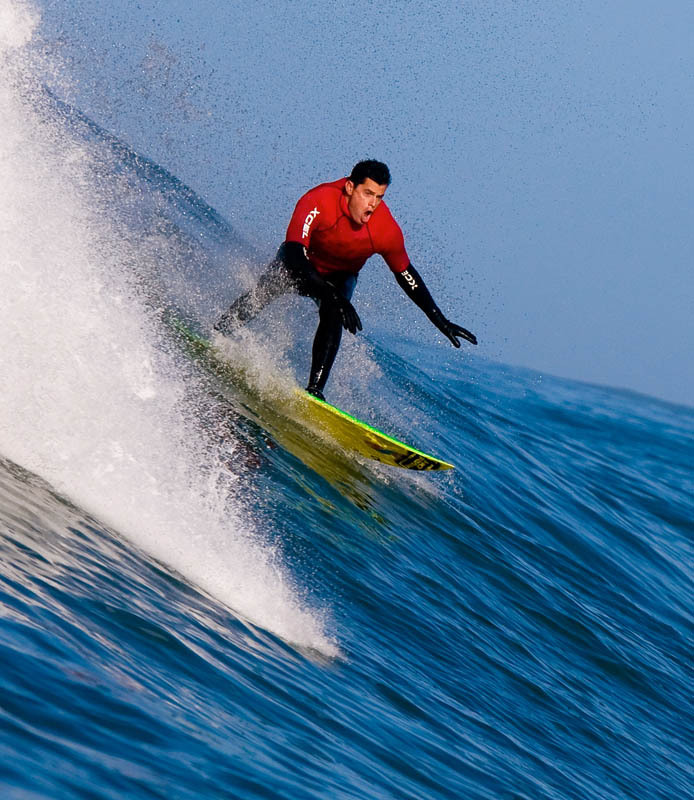 In 2013 Jamie Sterling won the event on a bluebird day of perfect 25+ waves and the event was supplemented by a Stand Up Paddle Exhibition by Ian Wallace, Drew Brophy, Wade Lawson and Haley Fiske who showed that SUP performance on big waves is indeed possible. This contest also featured first physically challenged competitor. In 2014 Mother Nature again didn’t deliver a big enough swell to run the event but an informal Unvitational was held to introduce younger and ‘under the radar’ big wave surfers to Nelscott and 15 surfers enjoyed Nelscott Reef without the pressure of competition and a great session was had by all with smiles all the way around. In Spring 2015 the first Nelscott Reef Unvitational Pro Am was held in clean 25’ waves with Jeremy Rasmussen and Mike Kotowski sharing top honors and Ian Wallace taking the SUP Division. In Fall 2015 the 2nd Nelscott Reef Unvitational Pro-Am was held which was open to all qualified athletes whether pro or amateur and Kevin Riddleberger from California took top honors. 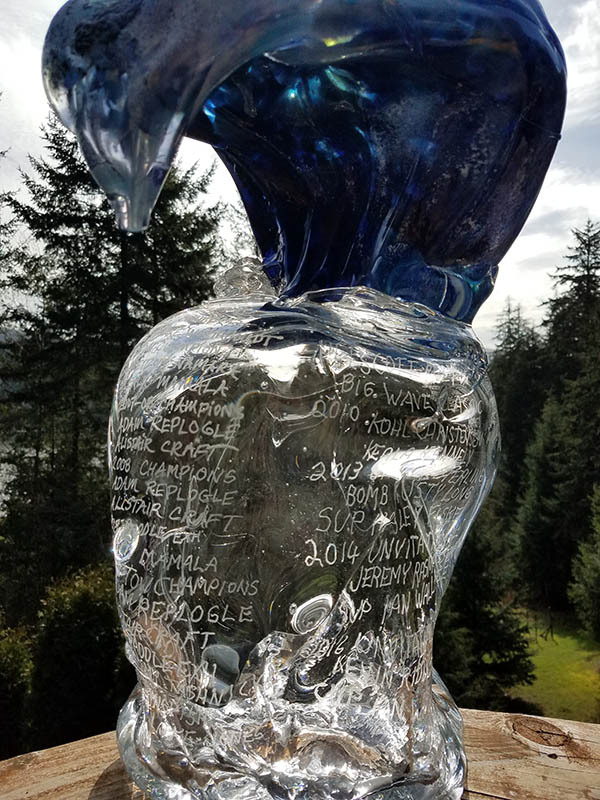 In November 2016 the third Unvitational Pro-Am was held in 30’+ surf with everyone coming in with smiles all around with an Awards Banquet at the Lincoln City Cultural Center and the crowning of Jake Fishman as that year’s champion and the top 6 athletes advancing to the Nelscott Reef Invitational Pro to be held in the next contestable swell of the season or next season with a mix of top pro invitees both SUP and Prone. The Nelscott Reef Invitational Pro is the next event up and has a purse of $10,000, and will be webcast live on www.nelscottreef.com. Awards Banquet to follow around 6:00 PM with videos of days event and beer, wine and food. Open to all!